Console players of the popular Sandbox-MMO Trove can now explore the Geodian topside and take the fight to the forces of shadow. Explore new worlds, dungeons, and much more in Trove – Crystal Combat. After its initial release for PC in December 2018, the newest free update for Trove, Crystal Combat, is now available for Playstation®4 and Xbox One! 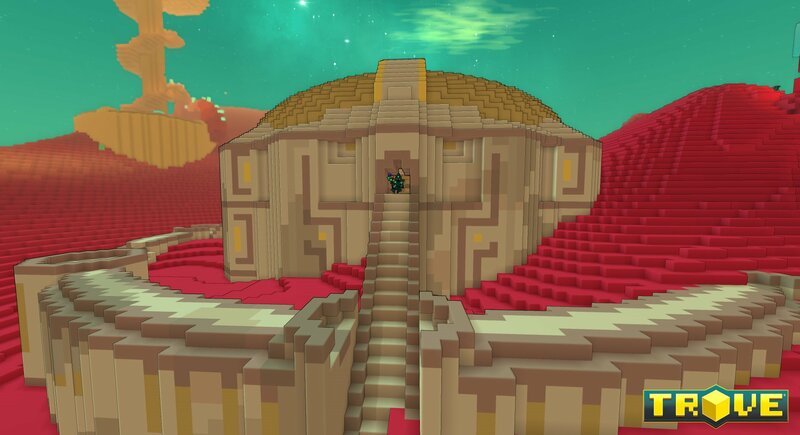 The gamigo group is excited to announce that console players of the voxel MMO, Trove, can now explore the wonders of Geode’s Topside. 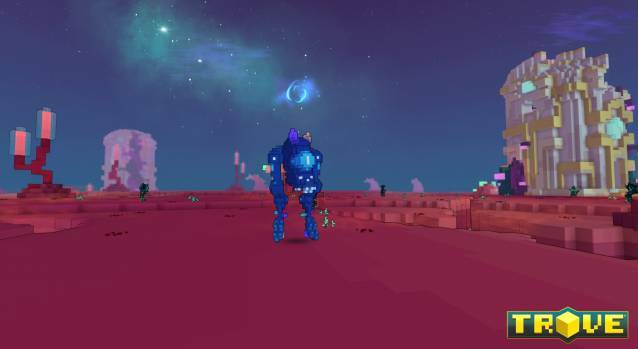 The update contains three new procedurally-generated Topside worlds, that are more challenging than anything else on the planet Geode. The Cerise Sandsea, Hollow Dunes, and Weathered Wasteland offer exciting adventures, but perilous dangers also await the players in these three new biomes. The monsters on Geode are tough and shrouded in a powerful shield of Darkness. It is up to players to gain new Crystal Equipment and Cosmic Gems to harness the power of Light to overcome these fiendish foes. The Subterranean Scramble Event gives players a chance to help Diggsly track down his lost shadow via a new 7-step quest line that offers exciting new rewards. The Crystal Combat update for Trove is now available on Playstation®4 and Xbox One. 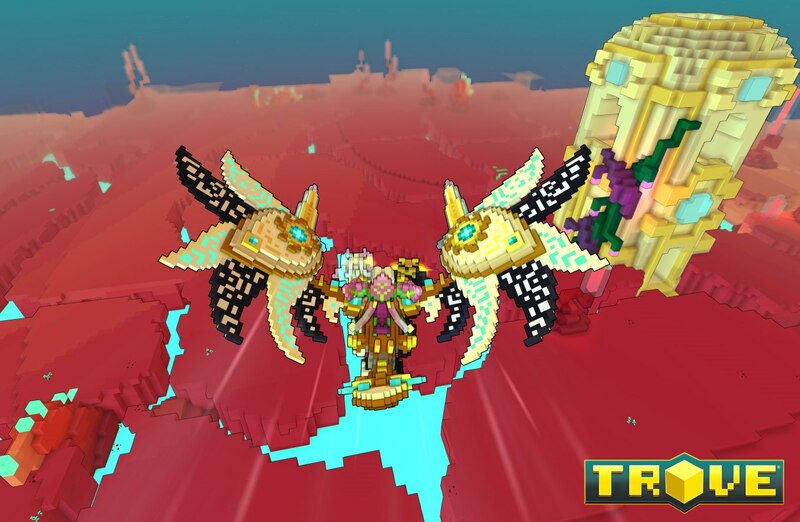 More information about Trove can be found here. And it`s free to play!